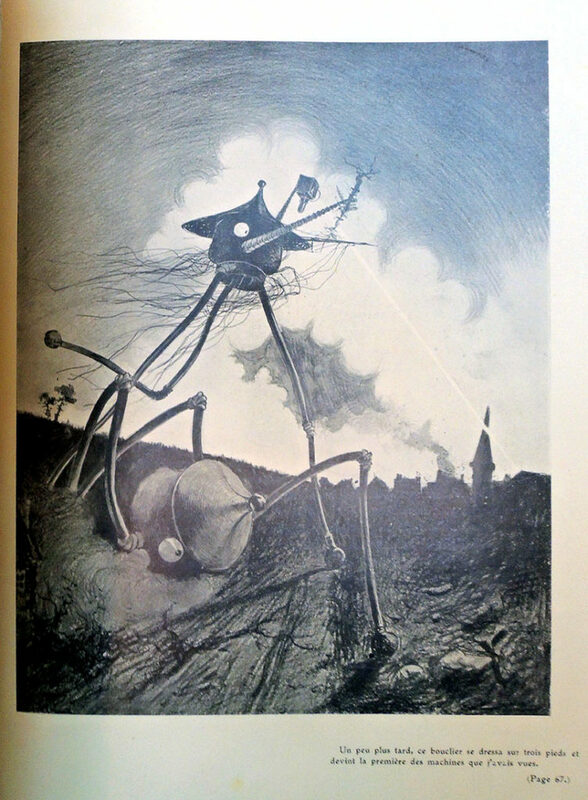 In 1904, Henrique Alvim Corrêa (1876-1910), a relatively unknown Brazilian artist living and working in Belgium, took a group of drawings to London and showed them to H.G. 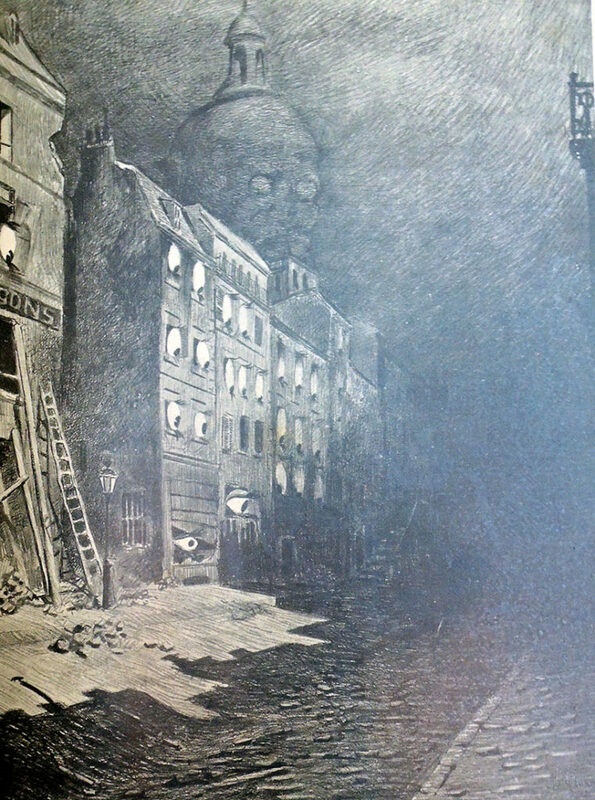 Wells (1866-1900). 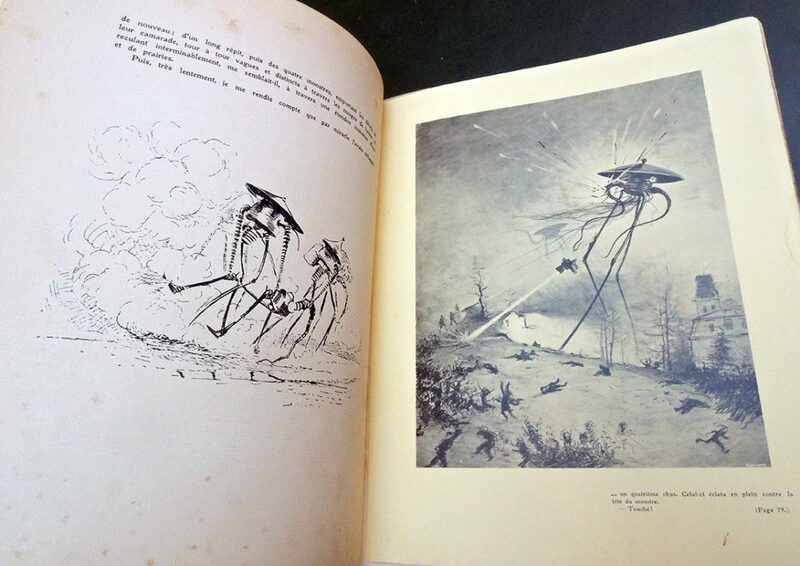 Alvim Corrêa’s work was inspired by the author’s 1897 story entitled “The War of the Worlds” and with no further information or persuasion, Wells commissioned him to illustrate a deluxe, limited edition of the novel. 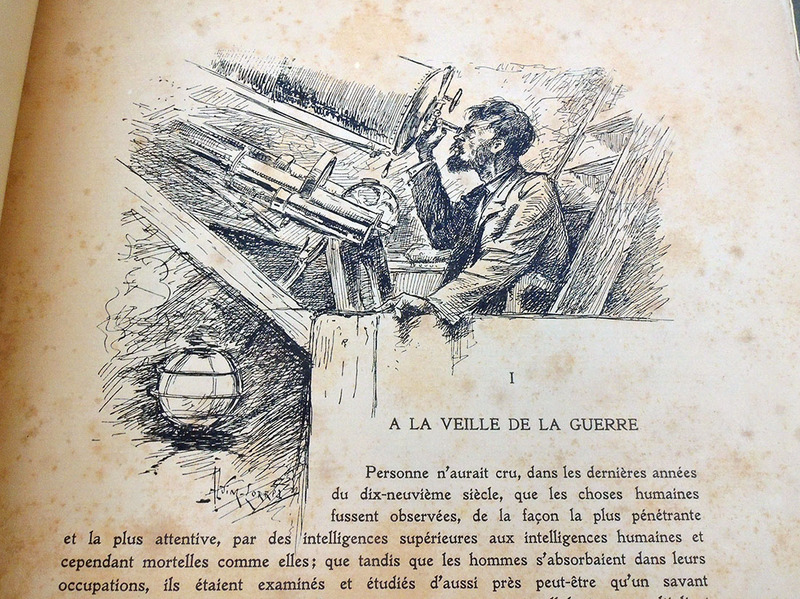 Over the next two years, Alvim Corrêa completed 32 drawing for the book published in 1906. 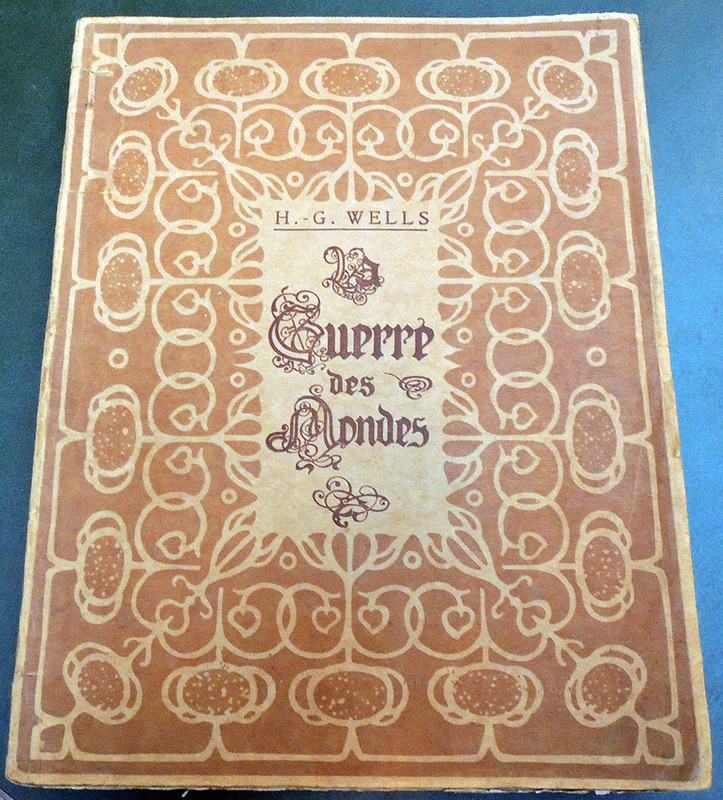 The Graphic Arts Collection recently acquired one of the 500 rare copies of this illustrated book. 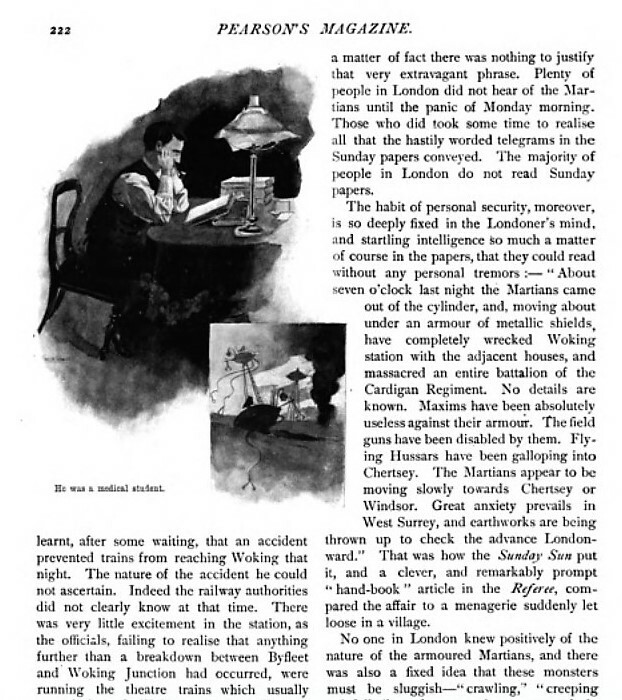 “The War of the Worlds” first appeared in Pearson’s Magazine [seen above] serialized from April to December 1897, together with illustrations by Warwick Goble (1862-1943), best known today for his fairy tales and other children’s books. The two versions are quite similar. 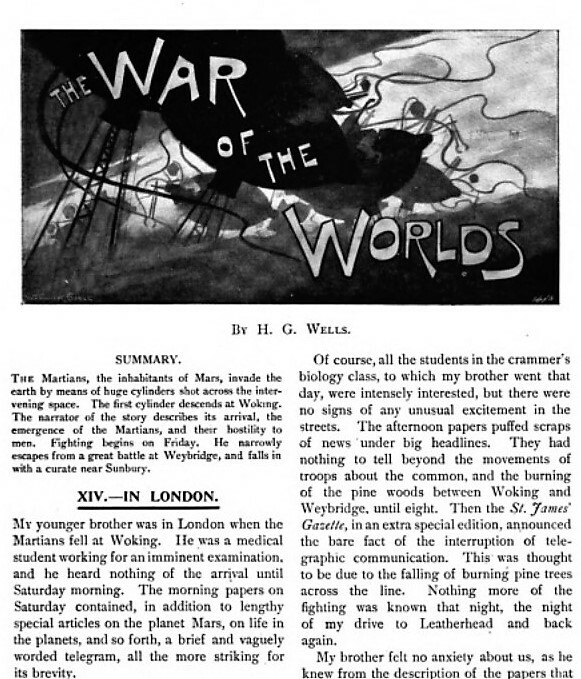 Eighty years ago, Orson Welles and the Mercury Theatre radio hour performed a Halloween adaptation of H. G. Wells’ The War of the Worlds, which many listeners took as fact and panicked. 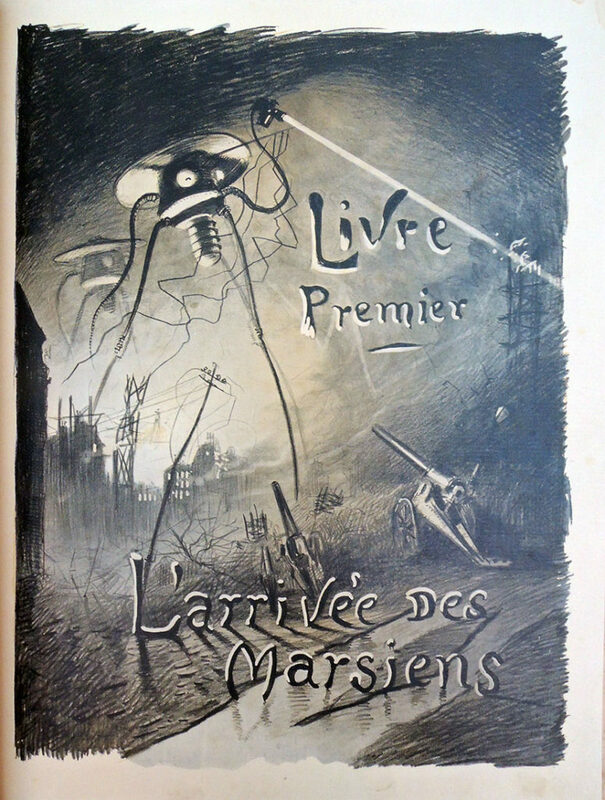 A reporter (Orson Welles) told the audience that something had fallen or landed in Grover’s Mill (just east of the Princeton Junction train station) and over the next hour it was discovered that giant Martian war machines were attacking the United States. 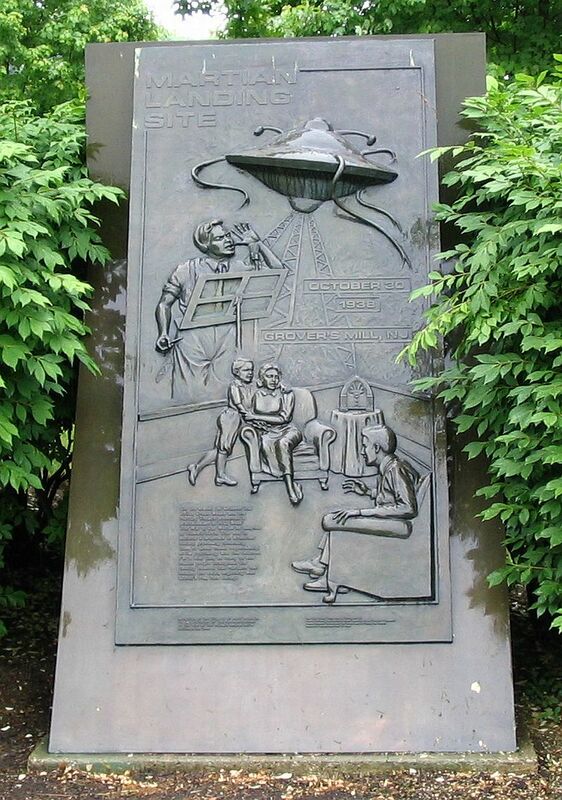 Today, a carved stone marks the site of the fictional landing. 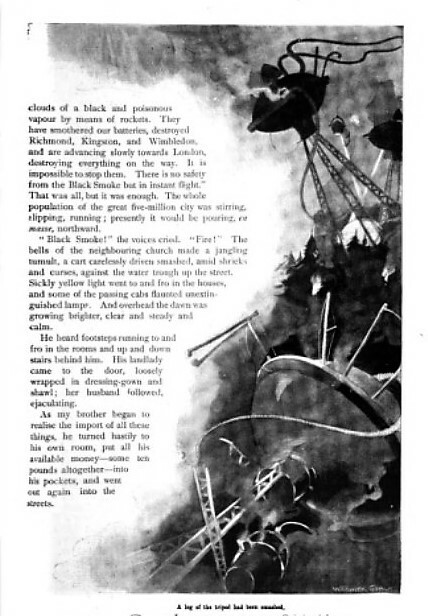 This entry was posted in Acquisitions, Illustrated books on October 21, 2018 by Julie Mellby.